See our announcement here. The show runs June 11 to 15. Please, please, make sure you get a T-shirt to show your support. Tell your friends too. Check out our online store here. 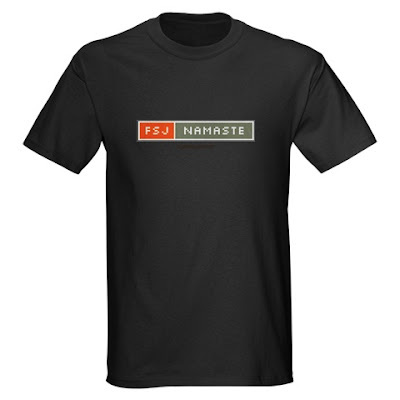 I highly recommend the “FSJ: NAMASTE” T-shirt in black or olive. Also: We’re looking for someone to design a “FREE STEVE” T-shirt along the lines of the FREE WINONA tees that were popular a few years ago. Graphic artist types, get in touch by email and we can collaborate.